There are several valuable major league players still looking for work and we are in the first week of February. This is something that has some major league officials concerned. 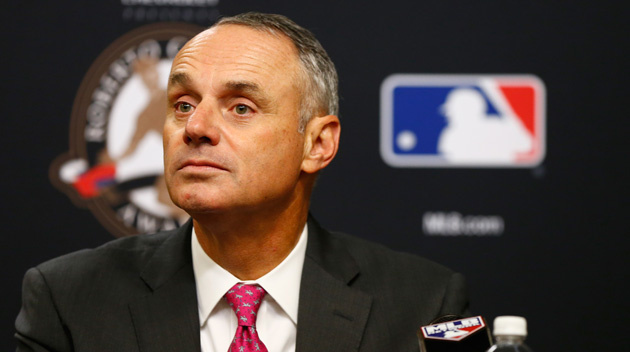 Could there be changes soon in the baseball system? For the second year in a row, the off-season has lurched along with very few trades or team acquisitions. Top players Manny Machado, Bryce Harper, Craig Kimbrel, and Dallas Keuchel have yet to find a new gig for this season, despite the fact that spring training looms large. Ironically, the Padres may again be involved in breaking up the logjam. Last year, in another historically frigid “hot stove” league, San Diego signed first baseman Eric Hosmer to an eight-year, $144 million contract. This year, general manager A.J. 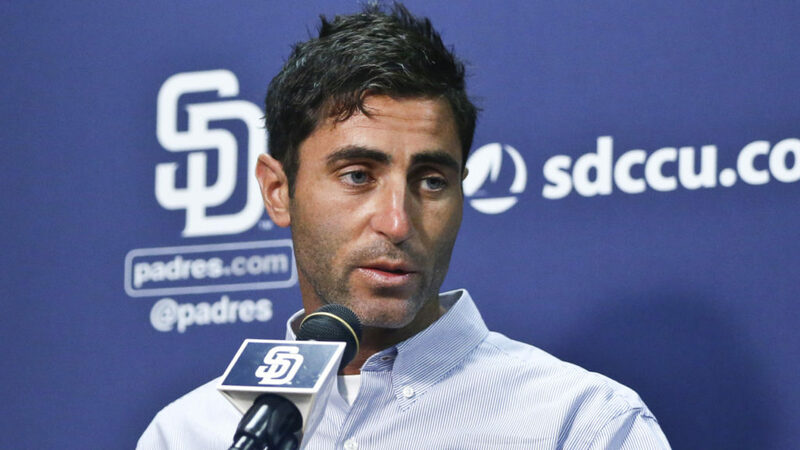 Preller has reportedly pursued both Harper and Machado. Rumor has it that he has also discussed a trade for catcher J.T. Realmuto with the Miami Marlins. In the meantime, a few players have agreed to deals they might not have considered two or three years ago to avoid facing the hassles and uncertainties of the current free-agent zeitgeist. Diamondback A.J. Pollock signed a four-year contract with the Dodgers, but the deal gives Los Angeles a lot of wiggle room by offering between $45 million to $60 million for three to five seasons. Reading the tea leaves, players like Dodgers’ left-hander Clayton Kershaw opted to add a year at the end of his existing contract rather than try to test the waters of free agency, which used to be considered a kind of wonderland for top players. David Freese, who performed well for the Dodgers in the World Series, settled for a $5 million contract rather than the original $6 million he’d accepted. Freese also must be well aware of the data driving teams toward younger players. In general, aging curves indicate that players peak between the ages of 26 and 29. At 35, Freese finds himself on the downside. Still, he’s not happy with the current situation. Freese brings up an excellent and timely question for Padres’ fans, especially in light of the team’s recent decision to share partial financial information with the San Diego Union-Tribune’s Kevin Acee. The Ron Fowler/Peter Seidler ownership group willingly took on debt and presumably signed off on the expensive and spectacularly unsuccessful attempt to “go for it” in 2015. Since then, the team has added the two most expensive contracts in their history (Wil Myers, Eric Hosmer), but beyond that, has been pinching those pennies. The sport itself appears to be awash in cash as it exceeded $10 billion in revenue for the first time in 2017. The Yankees, of course, top the list with a value of $4 billion, according to Forbes, with the Dodgers ranked second at $3 million. In 17thplace, the Padres are worth $1.27 billion. Until recently, free agency had been a dream come true, for the better players especially, a reward for the indignities of the minor leagues. Let’s take a closer look at the downright unfairness to those guys riding the busses, especially in light of what we now know about team wealth. In an example of that unfairness in revenue distribution, an omnibus spending bill for the United States actually contained a provision (ironically called “Save America’s Pastime Act”) denying minor league players the protection of minimum wage status. The base salary for minor leaguers is $1,100 a month, but only during the actual season. Thanks to their penurious paychecks, the players pile into small apartments together and don’t have the money for decent diets. Players with families have an even rougher time. Once the lucky few actually reach the big leagues, a minimum salary of $545,000 kicks in. Since the late 1980s, players have agreed to three years at that set salary and three more of arbitration before free agency. That seemed like a fine idea, especially when players like Jason Heyward received eight-year salaries worth $184 million. But the market has obviously changed dramatically, in part because of those salaries. No team wants to be stuck paying a 39-year-old Albert Pujols $28 million. An obvious solution would be to change the current salary structure so that arbitration kicks in earlier. Obviously, that would be an advantage for the players, but it would also serve the owners well. Teams would be paying players during their years of peak performance rather than at the time the aging curve starts down the wrong side. Of course, most fans feel little sympathy for players taking home millions of dollars at a time that the average household measures its income in thousands ($61,372). But most will understand the issue of fairness and the fact that a sport awash in wealth does not share it more equitably with the players without whom the sport would obviously not exist. And for the health of the sport, it would be in the best interest of the owners of all 30 teams to avoid another offseason like this and last year’s. Fans should be talking about spring training trips and potential rosters, not wondering whatever happened to the good old days of rampant rumors, free agent signings, and trades. Wow, I never thought this article would receive so many passionate and varied comments. One thing we can probably all agree on is that teams should make ticket prices much more accessible to the average fan. 1) Mandating a payroll floor to go with the luxury cap might be a good start. 2) Pay minor leaguers $50 k a year. 3) Do away with a draft based on records. A weighted system based on record would give the bad teams the best “chance” to wind up with the best draft position, but would not make it automatic. This would eliminate the appeal of tanking. It’s always funny when people talk about lowering ticket prices. That’s never going to happen. Might as well dream about 39 cent a gallon gas. Or $19,000 homes at the beach. Or when people talk about the players being greedy. How a fan could side with billionaire owners against millionaire players is amazing. I want people to be paid what they are worth, not for the owners (who almost all own billion dollar assets, operate in a monopoly, and take advantage of tax breaks and publicly subsidized stadiums) to act like hogs at the trough. And all this talk about player loyalty to fans is misguided. Players are treated like slaves for the first 6-10 years, with no chance to decide where they want to work. If you were to be in that situation, you would want to make the decision based on what you wanted, what was best for you, not what fans wanted you to do. I agree the players should get paid the money they deserve, but maybe they’re re getting what the market provides. So many more FA have disappointed failing to deliver based upon the guaranteed contract they’ve negotiated. They did well in their negotiated contract and shouldn’t complain to those who are paying their salary – the fans. You’ve recognized a number of bad players contracts but as they know even if they get DFA, they still get paid. The general public can’t relate to that type of money or privilege. I’m just promoting the need for the players to reconnect to why the fans are fans – because of the team. Did you just compare getting paid for playing a sport to slavery? Have we so easily forgotten what slavery was, and is? In “the first 6-10 years” just about all who play that long will make more than the rest of for most, if not our entire lives. Even if they do not make that much, they are all doing this more-than-voluntarily (as opposed to slavery); they are about umpteen million young men who would gladly replace them (as opposed to zero for slavery); they can quit at any time, and many do not last more than a year or two; many have already been given huge bonuses (hundreds of thousands, and some millions), more than most of will make in decades, if not our whole lives; they are doing what they LOVE; many of them already have a lot education already paid for, and can easily fall back on; they have 4 to 6 months of the year to do whatever they want (and to earn more money); they are advancing toward possible huge pay days, many of whom will never have to work another day in their life, all while enjoying an abundance of wealth. And you compare that to one of the most heinous things ever? What’s next? Are you going to join in with falsely accusing others as being racist because “they moved to the suburbs”? Are you going to falsely accuse and personally attack those who point out this folly, wrongdoing, and slander of millions of innocent people? Oh, wait, you already did that, and more. Yet you still will not own it. Yes, **this** is deja Vu all over again. Just like the kids from KY were falsely accused, and it was shown that they were actually victims of racism, etc, then those who loudly condemned them were silent. Yet they still insist they should be the ones dispensing judgments (ie false accusations) on others. This pretty much the same thing Tom, Diane, and James have done. It is clear they will not own their sins, all while claiming to be the righteous judges. One select group gets to make false accusations of others, and they do not stop doing so. Why? Because there are never any consequences for those in the select group, and because those same people clearly do not care about truth, and true justice. If they did, we would see a completely different response (or even a response). Here is a novel idea… if the MLB is so flush with excess money, how about lowering ticket and concession prices? Let the the TV contracts and stadium sponsorship pay the majority and let the little guy, the fan, the youngsters have fun for a reasonable price. Players don’t “need” to sign contracts for 100’s of millions. They are not the ones getting the shaft, it is the mom and dad who want to take their 3 kids to the ball park and can barely afford to sit in real seat to see the game. Completely agree. If teams are awash in cash most fans would vote for lower prices to them not more money for mediocre 35 yo’s who happened to have a few good games in the postseason complaining about $5 mil per year. The players have lost their connection to reality with the fans and teams that want to stay in existence during hard times. The players want the fans to recognize that they are the entertainment. The fans do honor that role but fandom is primarily based upon team first – individual player second. Understandably the players jump ship to a new team for more money but its the fans left behind in those smaller venues that gave up their hard earned money for that player. Players show disdain and lack of loyalty to the team looking to be rescued by the fans. The players working part-time earn more in one year than most in a lifetime. My suggestion is the players find a way to stay closer, more connected and longer with their original team and the fan base will support them, but for now I’ll wait for the next new player since they will be with the team for sometime wanting to work hard for the team and the fans of that team. Increase the minor league base salary to $24k year minimum. MLB players are being paid based on their value.